South Korea’s Hyundai Heavy Industries (HHI) has jumped into the electric car battery market, a high-potential next generation sector currently being dominated by LG Chemical, Samsung SDI, and SK Innovation. Meanwhile, HHI’s affiliate and oil refiner Hyundai Oilbank will be expanding into the lubricant base oil market, which will spark a four-way competition in the electric battery and lubricant base oil markets. Earlier this month on April 2, HHI established a joint venture with Canadian electric car parts supplier Magna E-Car. The joint production plant is located in Ontario, Canada which will start churning out electric car batteries from 2014. 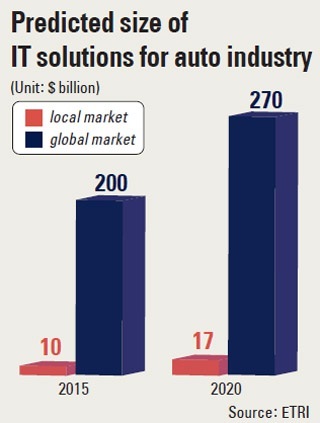 HHI invested $800 billion in the venture, while Magna E-Car supplied the larger chunk of investments at $120 million. The Ontario plant is currently test-producing electric car battery models developed using Magna’s battery cell technology. HHI’s sudden interest in electric batteries can be explained by the sector’s high potential. The electric battery market was relatively small at $3.0 billion last year, but is expected to cross $30 billion by 2020. HHI plans to play catch up to LG Chemical, the leading producer of electric car batteries in Korea at the moment. “We will build eight global production plants by 2020 including bases in North America and Europe, and raise electric car battery output to 0.80 million packs. Our goal is to clinch a 30 percent share of the North American and European markets,” said HHI. Hyundai Heavy Industries said Wednesday it has developed selective-emitter solar cells with a record electricity conversion efficiency of 19.7 percent, which could curtail production costs for the fast-growing energy source. The figure beat the previous record of 19.6 percent by Suntech Power Holdings, the world’s largest maker of photovoltaic panels based in Shanghai. It has also been confirmed by the Fraunhofer Institute for Solar Energy Systems, a leading think tank in Munich, the Korean shipbuilder said. Selective-emitter solar cells have higher efficiency as their two different doping concentration zones on a silicon wafer surface facilitate current flow, whereas regular cells have only one type. Hyundai Heavy said its latest 6-inch cells are 1 inch larger than those of Suntech. 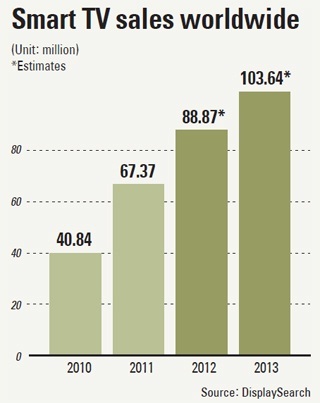 Their per-unit capacity reaches 4.7 megawatts, up 57 percent compared with its existing products. Korea is striving to develop mobile phones equipped with 3D holographic displays as a part of its strategy of preempting the lucrative information technology market. The Ministry of Knowledge Economy (MKE) said Monday that holographic technology would be one of the centerpieces of its scheme of achieving a very advanced high-tech society by 2020. “Currently, 3D solutions are mostly applied to TVs. But cellphones would employ 3D in a full-fledged manner through holographic technology,” MKE Deputy Minister Kim Jae-hong said. Yet, he did not provide details on which company is developing the futuristic feature and when it would be available to the general public. South Korea, a nation with a self-proclaimed goal of being a leader in robotics technology has, through the Asian Forum of Corrections (AFC), begun testing the feasibility of using robots as prison guards in an actual prison in Pohang. The robots’ duties, at least initially, are to patrol the halls between cells looking for signs of trouble, and if it finds it, alert the human guards who will take appropriate action. The robot, called Robo-Guard by many in the press, is equipped with several cameras, one of which is 3D, microphone, speaker and circuitry and software that allow it to roam autonomously in predefined areas within the prison. It also has software that allows it to analyze behavioral characteristics of inmates to help in deciding whether to alert the human guards. Its main purpose, according to the AFC, is to reduce manpower costs in prisons and to make a safer environment for both inmates and those that guard them. For full article see Phys org. The government said Friday it will ban the collection of resident registration numbers in principle, starting later this year, as part of efforts to strengthen the protection of personal information and prevent its abuse by hackers and other criminals. Under new measures set to take effect after the revision of the Personal Information Protection Act, government offices and private companies will be basically prohibited from gathering and using resident registration numbers online starting in August and offline by the end of this year, the government said. The measures, jointly announced by the Korea Communications Commission, the Ministry of Public Administration and Security, and the Financial Services Commission, will be enforced, except for inevitable circumstances. Resident registration numbers have been widely used for the purposes of administrative, financial, medical and welfare services. The move comes as a number of local companies that collected and stored users’ identification information came under cyber attacks last year, compromising the private information of millions of Koreans. When you get to Pan-gyo IC after driving about 20 minutes on Gyungbu Highway, you will definitely encounter a huge variety and abundance of state-of-the-art skyscrapers to the east. This is so-called “Pan-gyo Techno Valley” that Gyeonggi Province is trying to build on the scale of 661,925m2 in Pangyo New Town, Seongnam by investing KRW 5,270.5 billion since 2005. Two hundred ninety four small and medium-sized businesses in the field of cutting-edge technology are scheduled to move into Pan-gyo Techno Valley. It includes 177 businesses in the IT industry dealing with communications, semiconductors and software development. It also involves 38 businesses in the BT industry which deals with drug development and medical equipment. In addition to that 35 software developers in the game industry will be located there as well. With Ahnlab at the head of the list, 15 promising domestic corporations such as Institut Pasteur Korea, LIG Nex1, Samsung Techwin, and SK Chemicals have already moved in. Furthermore, buildings of 15 enterprises are now under construction including famous online game companies such as NCsoft, NEXON, NHN Corporation and NEOWIZ. OCON, the producer of popular animation Pororo is situated in Pan-gyo Techno Valley too. New Bundang Line, which transports you from Gangnam to Pan-gyo in only 14 minutes, has been in service since last October, which provides a great accessibility by the public transit. 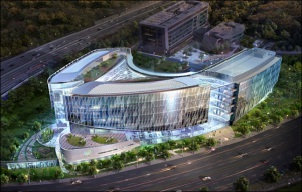 Once all the businesses are settled by 2015, the place will be the biggest cutting-edge global R&D complex in Korea where about 80,000 employees will be working. For full article see Korea IT Times. South Korea launched an IT consortium for global exports of IT technologies, said the Korea Trade-Investment Promotion Agency (KOTRA), a governmental agency designed to promote international trade. This consortium will consist mostly of outstanding firms and firms recommended by relevant institutions in the field, and KOTRA will be offering various support to aid overseas expansion of the consortium. The consortium will include companies specializing in: IT convergence related to energy conservation, mining, network equipments, display equipments and parts, trade information system, corporate solutions, rail management system, RFID (radio frequency identification), and medical IT solutions. A total of 86 small and mid-sized businesses (SMBs) based in Korea will be part of the consortium. The targeted export markets include the US, China, Indonesia, Peru, the Czech Republic, and DR Congo. “The convergence of IT with other industrial sectors is occurring at a swifter pace than ever, while demand for such packaged products are growing faster than for any products with single specialization. By forming this consortium, we are opening new doors for Korea’s IT exports and establishing an ideal model for win-win cooperation,” explained KOTRA President Oh Young-ho. 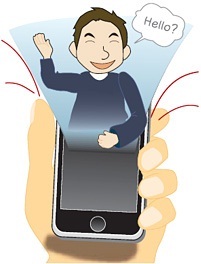 Your smartphone vibrates. As you pull it out of your pocket, the following message flashes across the screen: Your vehicle is being broken into. This futuristic scenario may soon become a reality for owners of Korean cars, according to Hyundai Motor, which rolled out a number of test models this week showing off its experiments with government-subsidized IT innovations by small companies. Of the four models presented to the media on Wednesday, only one, the third and latest edition of Hyundai’s popular midsized crossover Sante Fe, a sport utility vehicle, is now available on the market. It features two new breakthroughs that enable the owner to lock and unlock their vehicle from afar, such as inside their office. They can also gun the engine from a long-range just by pressing a few buttons on their phone – particularly useful on a cold winter’s day. The lack of sophistication in data management capabilities is preventing Korean companies from taking the next big step in growth, according to the chief executive of LG CNS, a leading provider of information technology and systems. At the “Entrue World 2012” forum in Seoul Thursday, LG CNS CEO Kim Dae-hoon called for firms to embrace the concept of “big data analytics,” which focuses on analyzing and utilizing the massive amount of data on company servers and the Internet. Big data analytics has become a technology buzzword and is gaining increasing acceptance as the Internet moves toward mobile devices like smartphones and touch-screen tablets.